I am still processing all that I have seen today. My energy level that was at its peak for the last two days is now beginning to fall a bit, and I sense that sleep tonight will be hard and sound. I am not prepared for the tears that are keeping me up. Pastor Lavaud is anxious to show me a slum area. “You mean it gets worse than what I’ve seen?” But I keep that thought to myself and eagerly agree. I pack my camera gear into the car. As we drive through the poorest section of Port Au Prince, Soleil City (city of sun), I see poverty like I never could have imagined possible. The filth that one million people have to live with in this place is hard to describe in words, but I will try. A step up from the streets: Scraps of sheet metal and wood make a home for families in Soleil. 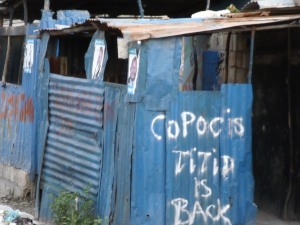 The tiny cramped homes are rusty tin shacks the size of an American kid’s bedroom. I see toddlers playing in the puddles, naked or partially dressed. 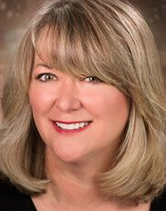 The smell of garbage, animal feces and human waste strewn about everywhere is overwhelming. There is a rancid smoke ribboning up from the garbage piles. Did someone start a fire or do these piles combust in the hot sun? And then I see something that makes me ask Lavaud to stop the car. On top of a large heaping refuse pile in the middle of a street, a large sow had climbed up and was circling before plopping herself down on her side. About seven or eight piglets hungrily begin suckling her. It is not safe for me to get out of the car here, so I roll down my window to take a picture. Those are probably the few creatures able to satisfy their appetites in those streets. Suddenly, my side of the truck plunges two feet down, jolting us into a shock. 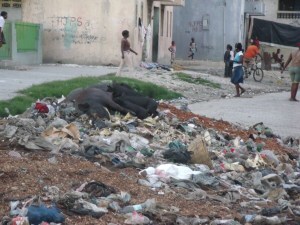 We are stuck in the street 25 feet away from the pigs, the garbage and shacks full of people moving closer to see. What just happened? We had ridden over a puddle-covered hole, but we could not tell how deep it was. I look out the window and see a hundred curious wary eyes on us, waiting and wondering what would happen next. Lavaud puts the gear into reverse and slowly steps on the gas while Norm (Leatherwood, our Global Executive Director) prays for God to help us through. God hears us, and ever so slowly we begin to rise up as we back out of the hole. We don’t realize just how miraculous this is until we examine another hole just like it a few yards up. This one is not covered with water and we see that it is quite deep to allow the rainwater through. What a miracle we are able to get out of that predicament. Night is coming fast, and there are few lights to show us the way home. The streets are very crowded and noisy, with blaring music and the constantly-honking cars, trucks and motor bikes. People are shouting at the top of their lungs to each other in their beautiful French-Creole language. Like the shacks in Soleil City, this crowded nightlife scene goes on for many miles. The streets are coming alive with an energy of the cooling evening in a way that makes me excited and frightened at the same time. I so enjoy the way you discribe this. Hope you get a chance to see the tech school and cafe and the radio station above it. Lavaud’s brother plays some CD’s from Chris and Laura Christiansen in French on that station that I and Rick Walters sent them. 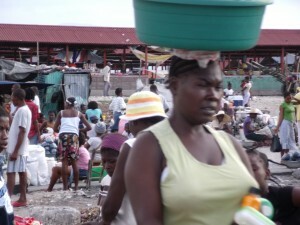 Haiti is a dark place but a wide open door exists into the hearts of it’s people. May love from above pour out of you to them and from them to you. There is always hope, even in the darkest place.